â? ?I ... See More have a function God would have me fill.â?? It is your Fatherâ? ?s holy Will that you complete Himself and that your Self shall be His sacred Son, forever pure as He, of love created and in love preserved, extending love, creating in its name, forever one with God and with your Self.Yet what can such a function mean within a world of envy, hatred and attack? Therefore you have a function in the world in its own terms. For who can understand a language far beyond his simple grasp? Forgiveness represents your function here. 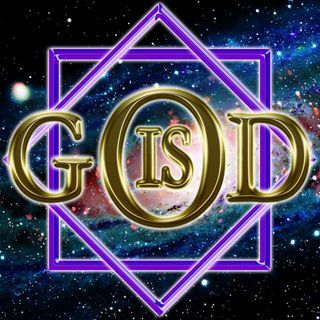 It is not Godâ? ?s creation, for it is the means by which untruth can be undone. And who would pardon Heaven?Yet on earth you need the means to let illusion go. Creation merely waits for your return to be acknowledged, not to be complete. Creation cannot even be conceived of in the world. It has no meaning here. Forgiveness is the closest it can come to earth. For being Heaven-borne, it has no form at all.Yet God created One Who has the power to translate into form the wholly formless.What He makes are dreams, but of a kind so close to waking that the light of day already shines in them. And eyes already opening behold the joyful sights their offerings contain. Forgiveness gently looks upon all things unknown in Heaven, sees them disappear, and leaves the world a clean and unmarked slate on which the Word of God can now replace the senseless symbols written there before. Forgiveness is the means by which the fear of death is overcome because it holds no fierce attraction now, and guilt is gone. Forgiveness lets the body be perceived as what it is; a simple teaching aid to be laid by when learning is complete, but hardly changing him who learns at all.The mind without the body cannot make mistakes. It cannot think that it will die, nor be the prey of merciless attack. Anger becomes impossible, and where is terror then? What fears could still assail those who have lost the source of all attack; the core of anguish and the seat of fear?